Our Black Sesame Seeds contain all the natural nutrients of black sesame seeds. We supply very clean product commensurate with quality and food safety standards. Black sesame seeds are more flavourful and have a stronger aroma than white or brown sesame seeds. Toasting black sesame seeds releases beneficial chemicals as well as enhancing the flavour. 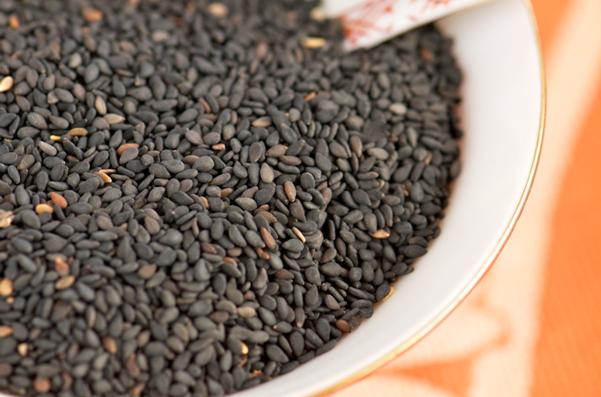 Black sesame seeds are rich in a fatty oil. Oil content is high, between 40% and 60%. The oil has a distinctive flavour, and is rich in antioxidants which give it a long shelf life. The seeds also enjoy a long shelf life and resist rancidity. After removing the oil, seeds are 35% to 50% protein. Sesame butter, also known as 'tahini', is a paste which resembles peanut butter. Tahini is made from ground, hulled sesame seeds and is used in Hummus and other Middle Eastern and Asian dishes. FFA ( AS OLEIC ACID) 1% ~ 2% MAX.